In light of the heart-wrenching and infuriating events involving the executions of Alton Sterling and Philando Castile, we have witnessed a wave of artists and celebrities using their platforms to speak out against these injustices. Alicia Keys and the "We Are Here" movement teamed up with several high profile celebrities to create the viral video "23 Ways You Could Be Killed If You Are Black In America" which compiles a list of every major police brutality within the past couple of years with the intent of helping everyone understand just how serious this has become. More importantly, the movement exists to manifest a world community built on true equality, and to put an end to the injustice of poverty, oppression, and hopelessness. 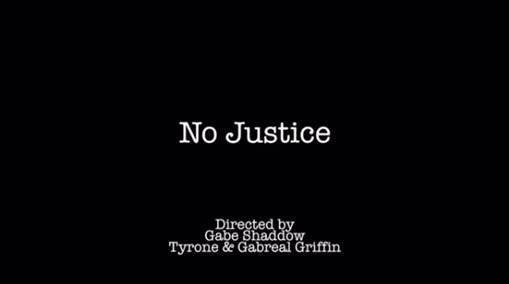 Ty Dolla $ign and his brother Big TC, who is currently serving a life sentence for a crime he did not commit, have collaborated once again on "No Justice," which is essentially the entire "We Are Here" movement put to song. We last heard Big TC singing alongside his brother on the heartfelt duo "Miracle" off Ty Dolla $ign's debut album Free TC, and he brings that same righteous flavor to "No Justice" as well. It's a shame this brother is having to keep his immense talent locked away within those prison walls, because the game needs more of this right now. Thanks to modern technology, we are able to get a taste of what he is about. Big TC represents the half of Ty Dolla $ign that most people who aren't familiar with Ty's music don't see in the forefront as Ty is often mistaken as just another turn-up type artist. Deep down though, Ty Dolla $ign is about something much deeper than his name and singles represent. I have included both "No Justice" and "Miracle" below, and I guarantee you that any opinion you may have had of Ty as an artist will change after hearing these songs.